A new poll has found American Jews are unhappy with the way the ultra-Orthodox stream of Judaism dominates religious affairs in Israel. The poll, which was commissioned by the 'Jerusalem Post' and the American Jewish Committee and released Thursday, shows "a growing deep rift" between US Jews and the State of Israel. The results come amid tensions over Israel's failure to carry out an agreement to allow non-Orthodox prayers at the Western Wall in Jerusalem. A majority of those polled support egalitarian prayers at the site, and allowing liberal denominations conduct weddings and conversions. 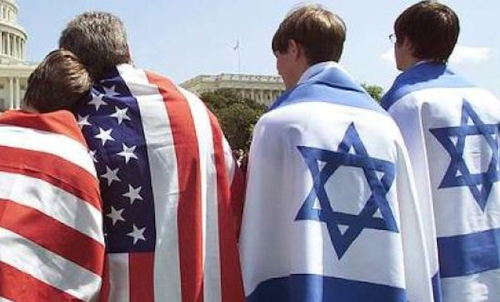 The poll surveyed 1,002 American Jews by phone and had a margin of error of 3.6 percentage points. In Israel, the Chief Rabbinate controls all Jewish ceremonies, including marriage, divorce, conversion and burial, and those performed by non-Orthodox clergy are not recognized by the state. A majority of both groups, 70 percent for the Americans and 61 percent for the Israelis, favors creating a pluralistic section at the Western Wall plaza for egalitarian services. In January, the Israeli government approved a compromise deal to expand the non-Orthodox section adjacent to the plaza while also solidifying Orthodox control of the main prayer section. The deal has yet to be implemented. About half of the Americans polled said they have never been to Israel.